Give yourself a bit of retail therapy at Monastiraki and BR Foods, Greece.. Get in touch with nature at Astir Beach and Mount Lycabettus. Step out of Athens to go to Sounio and see Temple of Poseidon, which is approximately 1h 15 min away. 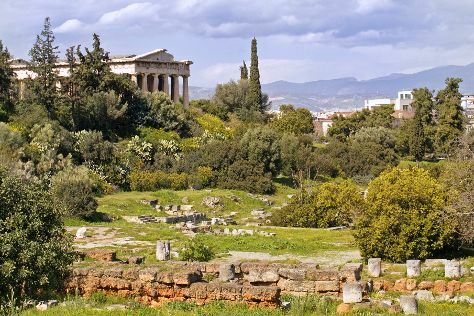 There's much more to do: explore and take pictures at Panathenaic Stadium, explore the ancient world of Temple of Olympian Zeus, take in the spiritual surroundings of Temple of Hephaestus, and look for gifts at Kerannymi Greek Traditional Products. In October, daytime highs in Athens are 28°C, while nighttime lows are 19°C. Wrap up your sightseeing on the 31st (Tue) early enough to travel back home.